Summer must be on the way as next Saturday marks the first dinghy league race of the season; The optimist combined Apri/ May league with F.G. scheduled for 2pm. The mixed dinghy Saturday league will commence early May with large numbers expected across all classes, while the National 18 fleet will also get proceedings under way in two weeks from today. 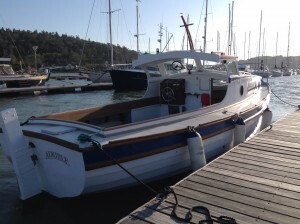 Club boat Adriele has had a full refit over the winter months and looks in great shape to take on the role of our flagship committee boat along side our other much loved club boat, Nemo. 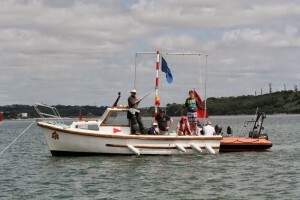 Club league racing has always been very well supported over the years and is structured to account for all ages. The strong numbers attracted help many of our junior sailors develop and build confidence as the summer season progresses and do so in the safe environment of curlane bank.